I hope y’all had a very merry Christmas! 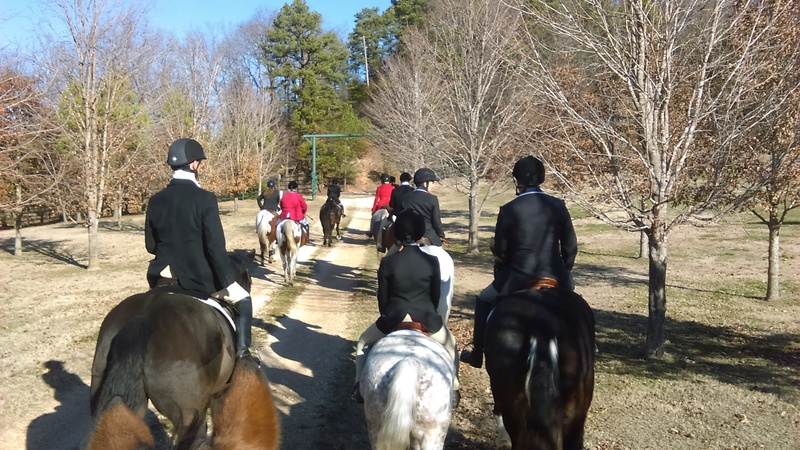 It was sunny and 60, so I spent the morning soaking Gina’s heel in Epsom salts and the afternoon hanging out with Johnny and our friend Holly who joined us for dinner. Thursday evening, I had a small box waiting for me with a return address that looked awfully familiar. Who do I know in Indiana? When I opened it up and read the accompanying card, I realized my present was from Jen at Cob Jockey! 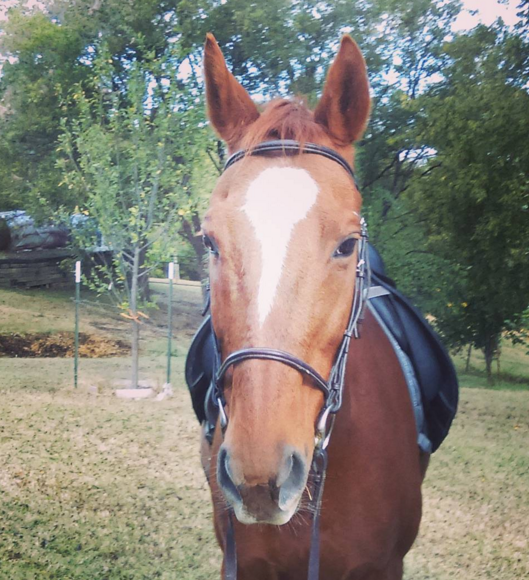 I had the pleasure of meeting Jen earlier this year the the horse bloggers meetup in Austin and she is every bit as delightful you’d imagine. I managed to wait until Christmas to open my gift; I was intensely curious about what it could be, since Jen’s card had mentioned she knew I already had one, but she’d had this made especially for me. 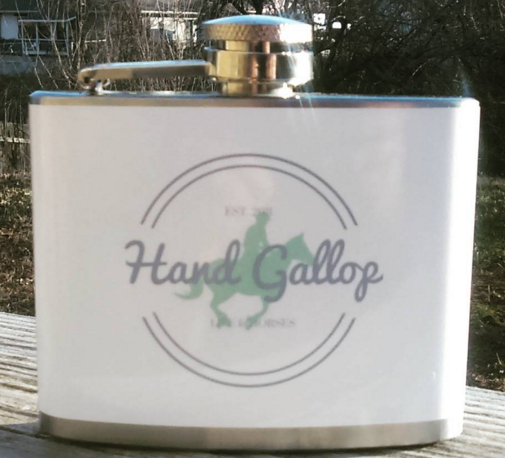 I was floored to discover this lovely little flask with Hand Gallop’s logo on it! While it’s true I already have a flask, another one is always welcome! Thanks to Jen for a great gift, and thanks to Tracy at Fly On Over for hosting the gift exchange again!